Just a follow-up to let you know that Feral announced on our site they are working on an XCOM 2 patch to ensure compatibility with Long War 2. When it's released, we'll also need to include some converted videos in a patch of our own. Update 2: I got in touch with Feral, who have replied in our comments. It's coming with a patch. Quote The mod does not support Mac or Linux at this time. Shame, I wonder why? I've reached out to Feral, 2K and the mod developer to find out why. Steam Workshop really needs clear sections to display operating systems if a modification is limited. 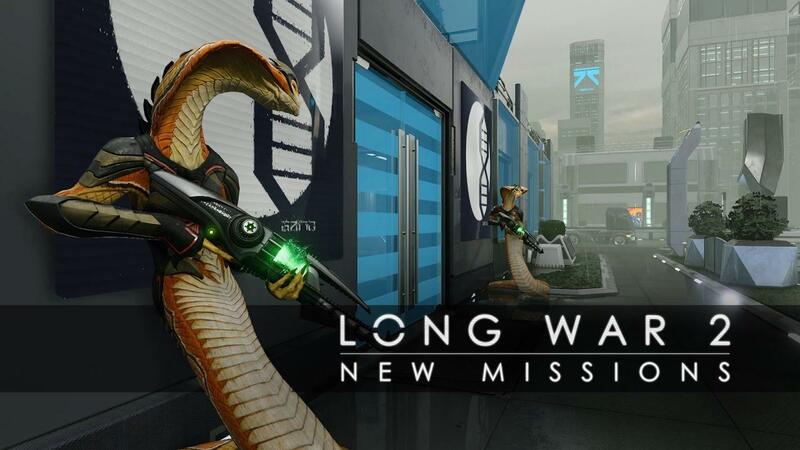 Long War 2 [Official Site, Steam Workshop] is the massive overhaul mod for XCOM 2 from the same people who did the original Long War for the previous XCOM game. You can find it on Steam Workshop here. I can't wait to sink my teeth into it! Very exciting. If you try it out, be sure to let us know what you think. I certainly know what I'm doing this weekend! "The mod does not support Mac or Linux at this time." Zaxth "The mod does not support Mac or Linux at this time." Hullo, we're working on a patch for XCOM 2 that will mean Long War 2 is supported on Linux and Mac, so stay tuned! jith_feral Hullo, we're working on a patch for XCOM 2 that will mean Long War 2 is supported on Linux and Mac, so stay tuned! Really looking forward to this mod, I won't start XCOM2 until this mod is available. It made my second playthrough of the first XCOM much more entertaining.